Why Most Marketing For Cleaners Is Wrong! Have you ever wondered how some cleaning businesses keep growing at a steady rate, while others are barely able to survive. You’re not alone. A lot of cleaning businesses struggle and the reason for this is because the marketing system they have is terrible. Most cleaning businesses try so many different ways of marketing for cleaners in order to build their business but fail miserably. They constantly sink tens of thousands of dollars in all the wrong places that although worked years ago, just don’t work anymore. People still spend loads of money on print, media buys, flyers, and telephone books. And that’s just to name a few. The whole point of marketing your cleaning business is to generate more cleaning contracts, and customers. A true marketing for cleaners system will constantly drive new prospects to your business. You need a system that is designed to keep your business in front of your customers eyeballs, but more importantly can easily be found, and researched. Think about this for a second. If you’re trying to land those top paying office cleaning contracts, where do you think those companies are going when they’re looking for new quotes? They go on the internet. Everyone knows how to GOOGLE, and people when they want information they want it now. If you get in front of them, you win. It’s simple. But so many people don’t understand this and they ignore that an investment will need to be made in a true marketing for cleaners system in order to have a steady stream of calls for quotes. That’s where everything begins. This is why the big boys constantly grow, while everyone else get’s left behind. They always have people who are calling and requesting quotes for there services. So the first step in a true marketing system for cleaners begins by having a top notch website that is completely designed to brand your business, but more importantly designed to convert your website visitors into customers. If you have a great looking website that is designed to convert, potential customers who land on your website will more then likely engage your company into providing them with a quote. Most companies that shop for quotes engage the best 5-10 companies they can find, and call them in for a quote. So unless you stand out from your competition and become one of those 5-10, don’t expect your phone to ring. Just having a website is nowhere near enough. You need to make a statement. 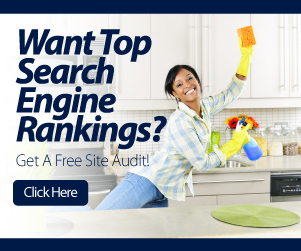 The next step in implementing a true marketing for cleaners system is you need your website found on search engines especially the big boy GOOGLE. Let’s say you provide office cleaning services in Utah what do you think potential customers are searching for when they use GOOGLE? Exactly that. They search for office cleaning service in Utah. So you need to show up on the first page for this keyword. Because now you’re targeting exactly the people who are searching for your business. And if you implement a system that allows you to rank on the first page for multiple keywords, well then you just might need to hire some sales people to quote all the jobs your getting. We then go to work and research all the best related keywords for our clients that we know will bring business. We target everything to all the right people. We then build a custom website around all these keywords that allows it to be search engine optimized, and more importantly convert those web visitors into customers. Our marketing for cleaners system works because it’s time, tested, and proven. Check out our ranking examples of customers to see for yourself! Getting started is easy. Give us a call, or contact us and let us build your cleaning business behind the scenes. That’s what we do, and we love it! Don’t invest another dollar in any other marketing for cleaners systems before you see that with our services, you’ll never need too ever again anywhere else. Leave your thoughts or questions regarding this post below!